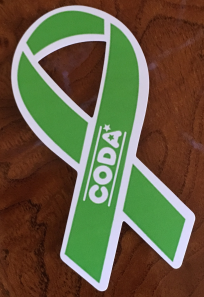 As part of our mission and vision, the harris project created the CODA (Co-Occurring Disorders Awareness) prevention program, a youth-driven effort to initiate the conversation about COD (Co-Occurring Disorders) and empower our youth to transform the way society perceives and addresses mental health and substance misuse/addiction. Adolescence is a time of change and challenge. It is also during this time that most mental health disorders arise. In fact, 22% of teens 13-18 have a diagnosable mental health and/or addictive disorders, and 50% of all cases of mental health disorders arise by the age of 14 and 75% by the age of 24 (MHFA.org). What comes first: substance use or mental health challenges? It can happen either way. Un-diagnosed, untreated mental health disorders can lead to self-medicating, and substance use while the brain is still developing can lead to COD (youth.gov). While all youth are at potential risk for COD, it is preventable. CODA encourages youth to recognize where they might fit into the narrative through an understanding of paths to substance misuse/addiction, including: the relationship between mental health/wellness and substance misuse; sports injury/wisdom tooth removal and opioid addiction; as well as brain changes caused by use (your brain isn’t fully developed until your 25) to make empowered decisions. 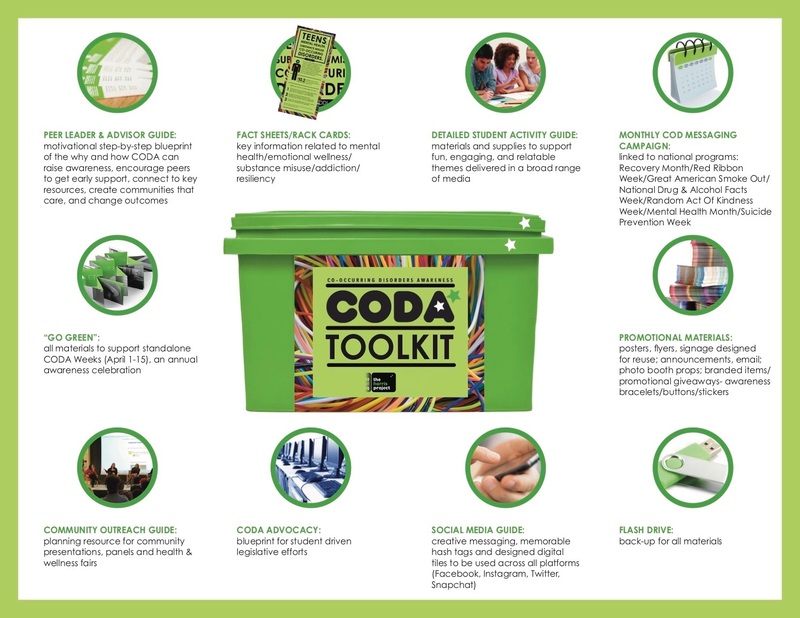 In addition, CODA fosters opportunities for peers to connect, support each other, and be a link to resources. This can increase help seeking behavior and reduce the number of teens who misuse or become addicted to substances. Increased awareness and understanding of co-occurring disorders for youth. Increased early intervention for mental health challenges and substance misuse leading to a decline in incidence of youth mental health crises, drug misuse, addiction and overdose. Increased likelihood that those already impacted by co-occurring disorders will seek help and support. Raise a generation without the stigma typically associated with mental health challenges/substance misuse. Encourage youth to positively impact their peers/communities by building connections to each other and being a link to resources. Talk about the relationship between mental health/wellness and substance misuse/addiction. Educate school communities about co-occurring disorders through presentations, guest speakers,and panels. Support the “Go GREEN” campaign as part of Co-Occurring Disorders Awareness Week (April 1 – 15). Offer Youth Mental Health First Aid training. Collaborate with other organizations and clubs. Advocate for change through meetings with legislators. the harris project works with school districts, community groups, the health care field, and local businesses to create Co-Occurring Disorder Awareness events. Understanding potential paths to substance misuse/addiction in our youth, and how each of us can provide help, hope, and support, can turn the tide and change outcomes for loved ones, friends, neighbors, and co-workers. The heart of each event is a 45 – 60 minute presentation that can be tailored to include the goals of the host group. Awareness bracelets, buttons and stickers are included to help spread the message. These conversations are appropriate for audiences ranging from high school students through health care professionals. Besides knowledge and information, and time for Q & A, each audience is provided with a suggested individual and community action plan. the harris project is also available to be a part of community & health/wellness events. See our Events page for a list of upcoming and past presentations. To inquire about hosting a presentation, please contact us through our Contact Us page. Westchester County’s Department of Community Mental Health (DCMH) helped launch the harris project’s 2nd Annual CODA Week. After a successful pilot in 15 local high schools in the Spring of 2017 and unprecedented growth with 38 Westchester County high schools participating in the October 2017 Youth Summit (read about both below), this was the next exciting step in the growth of the CODA movement. 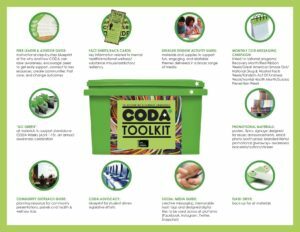 In preparation for the 2018 event, each of the 50 Westchester County public high school, and Greenwich, Connecticut High School received a CODA Week “celebration box”. Created by the harris project, the celebration boxes included basic informational materials, as well as suggested daily announcements, easy-to-do activities and all necessary supplies. Two CODA Week celebrations are particularly noteworthy. 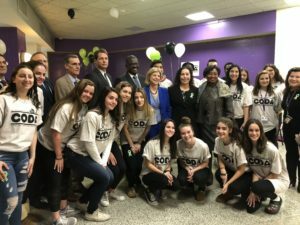 The first took place on April 10th at New Rochelle High School, and included appearances by New York State Senators Andrea Stewart-Cousins and Shelley Mayer; Deputy County Executive Ken Jenkins; Legislator Damon Maher; and DCMH Commissioner Michael Orth. The students were, of course, the stars of the event. 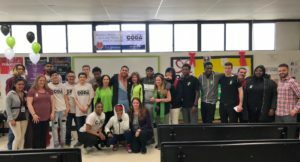 Just 10 days later, the New Rochelle High School CODA Club and the harris project founder Stephanie Marquesano were awarded the 2018 Volunteer New York Spirit Award in Education & Literacy. The CODA Club was chartered at New Rochelle in the Spring 2017, and over 200 students signed up to join at the Fall 2017 Club Fair! 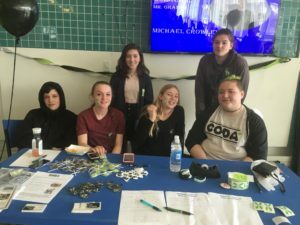 The second event took place on April 13, 2018 at PNW BOCES Fox Meadow High School. CODA Club students hosted a day of awareness, presentations, and celebration, culminating in the debut of an incredible short film written, created, and edited by these talented and committed students. “Flying Above the Influence” highlighted CODA themes and brought many in the audience to tears. Special thanks to ABM Industries for packaging all of the celebration boxes, and Student Assistance Services Inc. for ensuring that your counselors celebrated CODA Week in the over 30 Westchester public high schools you work with. 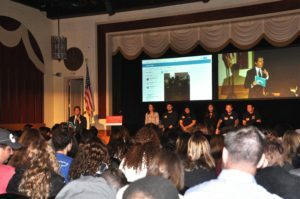 On October 16, 2017, 38 Westchester high schools, 400 students, and school staff joined the conversation to address the opioid and heroin crisis by exploring paths to substance misuse and addiction in our communities. This was the first introduction for many of our schools districts to CODA. The Youth Summit was presented by the Westchester County Department of Community Mental Health (DCMH) in partnership with the harris project, and included over 60 volunteers from various agencies, providers, and community based organizations. Knowledge=Power, and this is how we will turn the tide on the opioid and heroin epidemic! Special guest speaker Tony Hoffman let our young people know that change can start with them, and shared his own challenges with anxiety and depression that led to his substance misuse/addiction. Westchester Community College’s Acting Director of Counseling, Kristy Robinson moderated a panel discussion that included local young adults sharing their own (or friends and loved ones) experiences with mental health challenges and/or substance misuse/addiction, as well as how prevention programming like CODA would have positively impacted their lives when they were in high school. CODA programming was piloted in Westchester County and Greenwich CT at Bedford, Briarcliff, Greenwich, Harrison, Hendrick Hudson, Irvington, John Jay, Lakeland, New Rochelle, Walter Panas, Pleasantville, Putnam/Northern Westchester BOCES, Somers, Southern Westchester BOCES, Yorktown; St. Christopher’s Inc.- Clarke Academy high schools in late 2016. 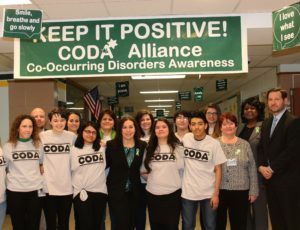 This initial pilot culminated in the celebration of the first annual CODA Week (April 1-8, 2017), and featured a variety of youth-led activities ranging from: announcements over the public address system; display tables set up in the cafeteria with wrist bands, t-shirts, and other awareness materials; posting pictures in the school of celebrities who have publicly discussed their CODA challenges; displaying messages of encouragement and compassion on school doors, walls, and ceilings; hosting “mocktail parties” to associate fun in social situations without the need for alcohol; holding class and assembly presentations with outside speakers; and, many other activities to strengthen student involvement and connectedness to the messaging and goals of the CODA movement. By all accounts the inaugural CODA Week was a resounding success. The reaction from school administration, staff, students, parents, and community members has been incredible. 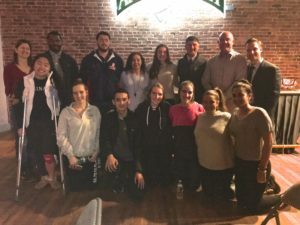 Special thanks to Dr. Mark Herceg and the Westchester County Department of Community Mental Health for their support; Ellen Moorehouse Executive Director and Student Assistance Services Inc. for their partnership; and, all of the school districts involved for being part of the creation of a movement! The Lakeland School District graciously allowed a News Event to take place at Lakeland High School on Friday, April 7th. Special thanks to Principal Chris Cummings, the CODA Advisors, and the students who participated!